I’ve written before on this blog about the relatively new trend in cheese making in the United States. Finally as a nation, we’ve discovered that we’re fully capable of producing a variety of cheeses which compare favorably with those from Europe. 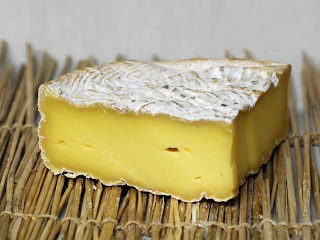 An interesting article points out that, although specialty cheeses have been sporadically produced earlier in the twentieth century, a movement began in earnest in the late 1970s. As a result, Americans began traveling to France to study cheese making and improve their skills and offerings. Currently The American Cheese Society has over 1200 members and at its annual competition this year 254 companies presented over seventeen hundred products! States as varied as Tennessee, Texas, Missouri, New Jersey, and Florida as well as provinces from Ontario to Quebec to Prince Edward Island had winning cheeses in wide-ranging categories. While we didn’t make it to North Carolina for the convention, we were lucky enough to attend nearby Washington County’s Cheese Tour last weekend to see actual farms and taste some of their artisanal cheeses. 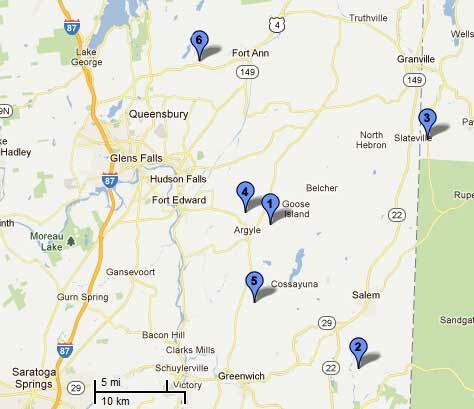 First on our agenda was Longview Farm located near the town of Argyle in Fort Edward, New York. 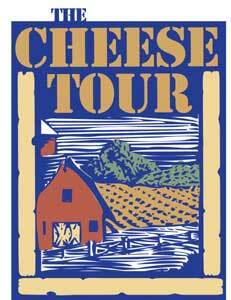 Armed with the Cheese Tour map, we nonetheless had a hard time finding our way there. The large number of cars parked along the country road was the first tip-off that we had found the right place. 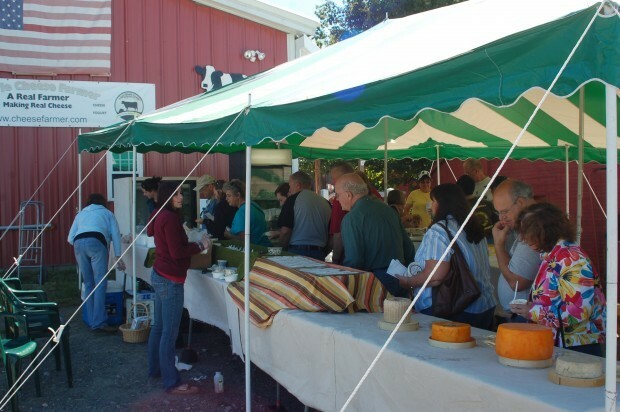 Tents had been erected over tables with samples of this farm’s artisanal cheeses and other products. Lucky for us, we didn’t taste any of the soaps in the form of goats and pigs on display! In operation since the year 2000, Longview Farm offers a small selection of cow’s and goat’s milk cheeses. Our favorite that day was their most recent addition, a goat’s milk product simply called “Our New Cheese” (until they come up with a better name). Besides buying cheese, it was also fun for us city-dwellers to walk around, seeing a hay barn, lots of chickens and goats, and some very lazy hogs lying together in the shade of their pen. Up next was Argyle Cheese Farmer, just a short drive away. Although there was no guided tour available, visitors were able to go into a room lined with the machinery that generates its milk products. All of the machines were labeled but having someone to explain the processes to us would have made the trip there more memorable. Once again tents and tables were set up to display samples. The unique thing about this farm was that they make a lot more than just cheese. 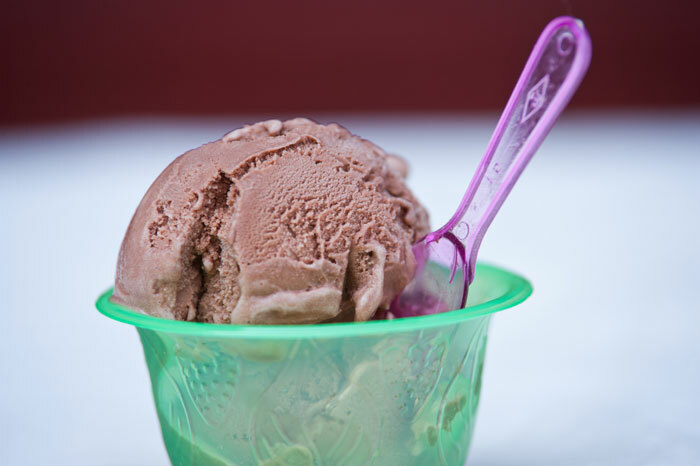 The gelato—in vanilla, chocolate, and coffee—was quite delicious; I’d like to try their mango sorbet sometime, too. Their yogurt, which recently won a taste test at New York Magazine, was creamy and tasty. They have another product which we had bought before at the Troy Farmers’ Market called Schmear, which is very good; I would describe it as a type of herb-garlic spread in the style of Boursin or Rondelé. There was a good Havarti at this farm, but overall we were not terribly impressed by their cheeses. 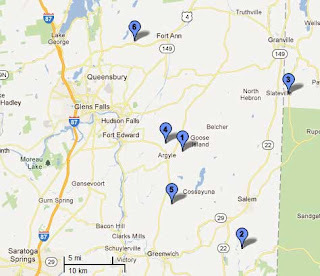 The last place we saw that day, with the curious name Consider Bardwell Farm, is located not in Washington County but across the border in western Vermont. It turns out that Consider was the first name of the son of the farmer who first worked the land here in the early nineteenth century. During the 1860s, Consider Bardwell made cheese on this very spot. When the latest owners decided to try their hand at cheese making eight years ago, they decided to name the farm after him. I think Consider would be proud because we loved every one of the four cheeses we tried there that day. We ended up buying a full-bodied goat cheese called Dorset. All of the dairy products mentioned in this post are somewhat difficult to find. The best place to look would be farmers’ markets and specialty shops, like Albany’s Honest Weight Food Co-op. The entrepreneurial spirit of these farmers is to be applauded and supported.